India's Reliance Industries, operator of the world's biggest refining complex, has turned to selling fuels to Venezuela from India and Europe to circumvent sanctions that bar U.S.-based companies from dealing with state-run PDVSA, according to trading sources and Refinitiv Eikon data. Reliance had been supplying alkylate, diluent naphtha, and other fuel to Venezuela through its U.S.-based subsidiary before Washington in late January imposed sanctions aimed at curbing the OPEC member's oil exports and ousting Socialist President Nicolas Maduro. At least three vessels chartered by the Indian conglomerate supplied refined products to Venezuela in recent weeks, and another vessel carrying gasoil is expected to set sail to the South American nation as well, according to the sources and data. Reliance, an Indian conglomerate controlled by billionaire Mukesh Ambani, has significant exposure to the financial system of the United States, where it operates subsidiaries linked to its oil and telecom businesses, among others. The Indian market is crucial for Venezuela's economy because it has historically been the second-largest cash-paying customer for the OPEC country's crude, behind the United States. Additional sanctions against Venezuela are possible in the future, as U.S. President Donald Trump's administration has not yet tried to prevent companies based outside the United States from buying Venezuelan oil, a strategy known as "secondary sanctions." Refinitiv Eikon trade data shows that Reliance shipped alkylate, a component for motor gasoline, to Venezuela on vessels Torm Mary and Torm Anabel in recent weeks. Those originated in India and passed through the Suez Canal. "Reliance is also supplying some products from its Rotterdam storage," a source familiar with Reliance's operation said. Reliance did not respond to emails seeking comment. PDVSA did not reply to a request for comment. In a statement last week, Reliance said its U.S. unit has completely stopped all business with PDVSA. Reliance also halted all supply of diluents including heavy naphtha to Venezuela and does not plan to resume such sales until sanctions are lifted, according to the release. Venezuela has overall imported some 160,000 barrels per day of fuel and diluents for its extra heavy oil output since the U.S. measures were imposed, according to PDVSA and Refinitiv data, below levels prior to the sanctions but still enough to supply gas stations and power plants. Reliance is among the biggest buyers of Venezuelan oil, although the company has recently said it has not increased crude purchases from Venezuela. In 2012, Reliance signed a 15-year deal to buy between 300,000 to 400,000 bpd of heavy crude from PDVSA. Ship tracking data obtained by Reuters showed that Reliance's average purchases from Venezuela were less than 300,000 bpd in 2018 and in the first two months of this year. 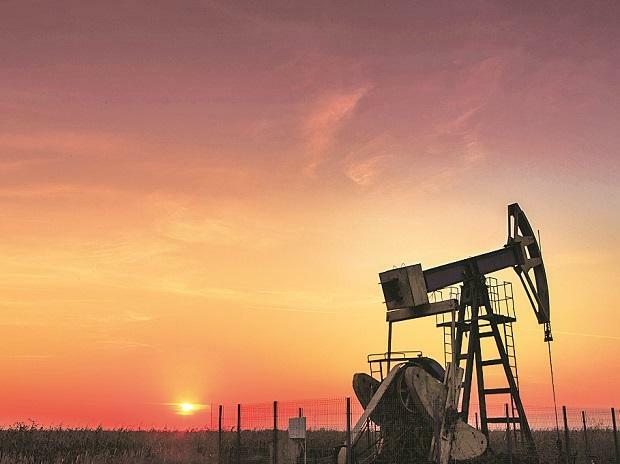 Venezuela has suspended its oil exports to India, its main cash market, Azerbaijan's energy ministry said on Tuesday, citing Manuel Quevedo, Venezuela's oil minister and PDVSA president. Quevedo met with the Azeri minister of Industry and Energy Parviz Shahbazov in Baku. But Venezuela's crude exports to India have not stopped. A very large crude carrier (VLCC) is anchored off Venezuela's Jose port waiting to load oil bound for India, and at least six other vessels of the same size are underway to India's Sikka and Vadinar ports, according to the Refinitiv data. PDVSA's second largest customer in India is Nayara Energy, partially owned by Russian energy firm Rosneft, one of PDVSA's primary allies.